Awful Fantasy Games has announced their next foray into the Awful Fantasy world. They had a successful campaign with their Kickstarter. This time around, it's Awful Fantasy Adventures, a quick-playing cooperative card game. They will look to fund the base game as well as three Adventures as part of the Kickstarter. 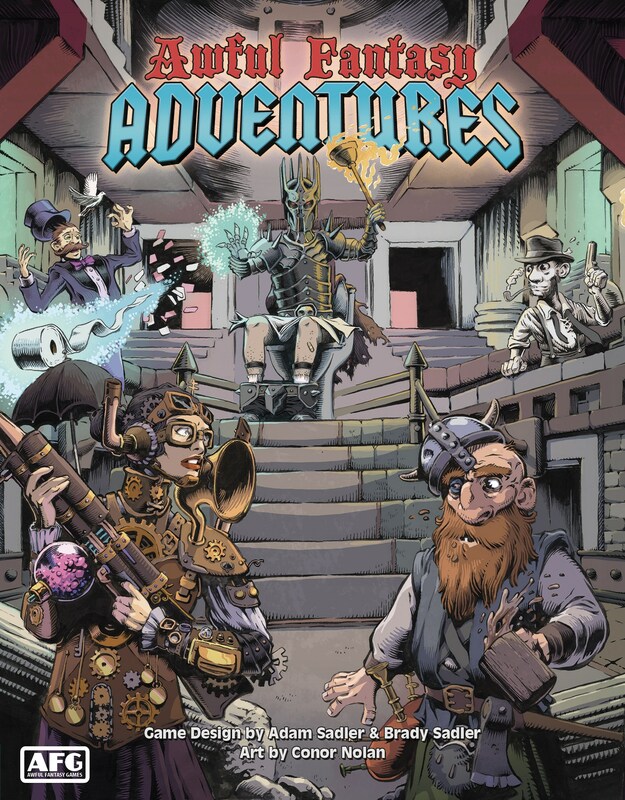 Awful Fantasy Games, creator of the highly successful Kickstarter Awful Fantasy: The Card Game, have once again teamed up with established game designers Adam and Brady Sadler and artist Conor Nolan for their new game on Kickstarter, Awful Fantasy Adventures. The Kickstarter campaign will feature the game at $25 USD and include 3 exclusive Adventure Packs. The Kingdom of Orboz is in trouble, and it’s going to take fantastic, amazing, heroic heroes to save it. But in this case, you take what you can get. Awful Fantasy Adventures is a quick-playing and “self-expanding” cooperative card game. While the game’s core components offer an easy-to-learn and fast-paced co-op experience, the included “Adventure Packs” not only expand the game, but can modify the rulebook itself. The “self-expanding” nature of Awful Fantasy Adventures lets players expand and customize their game at their own pace. Each “Adventure Pack” contains new cards and new rules stickers to apply to the pages of the rulebook, introducing new powers and new dangers to the game. Play until you’ve mastered the game, and then crack open an adventure pack for fresh challenges and enticing rewards! You’ve created your awful stories with Awful Fantasy: The Card Game. Now experience the awful story first-hand in Awful Fantasy Adventures. Follow us on Kickstarter to get notified when we launch!